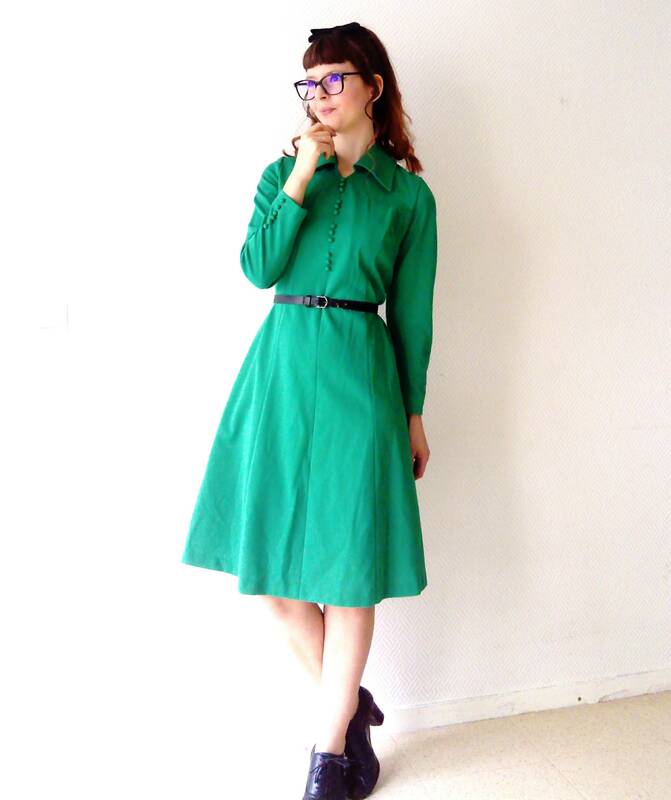 Superb Peacock green vintage dress, made late 60s / early 70s. 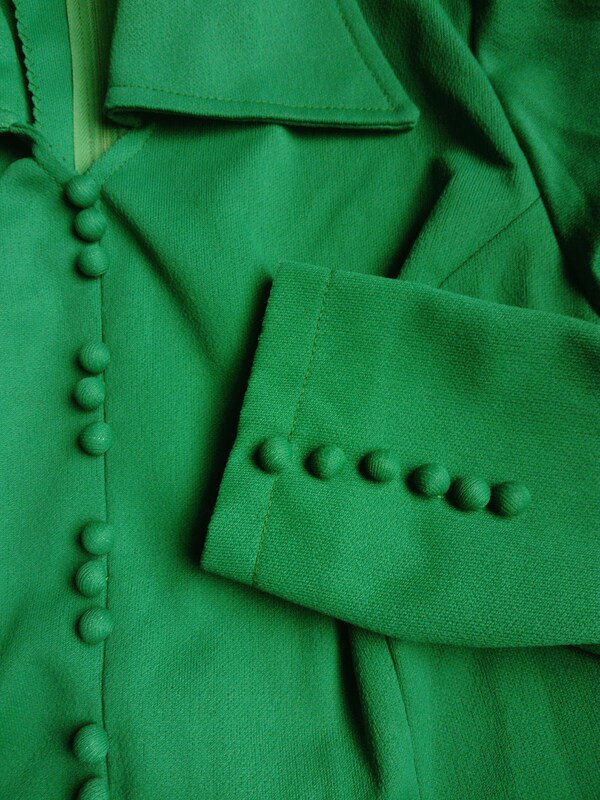 adorable boutonniere fabric on the front and sleeves, elastic material. back zipper and clasp, no lining but not transparent. 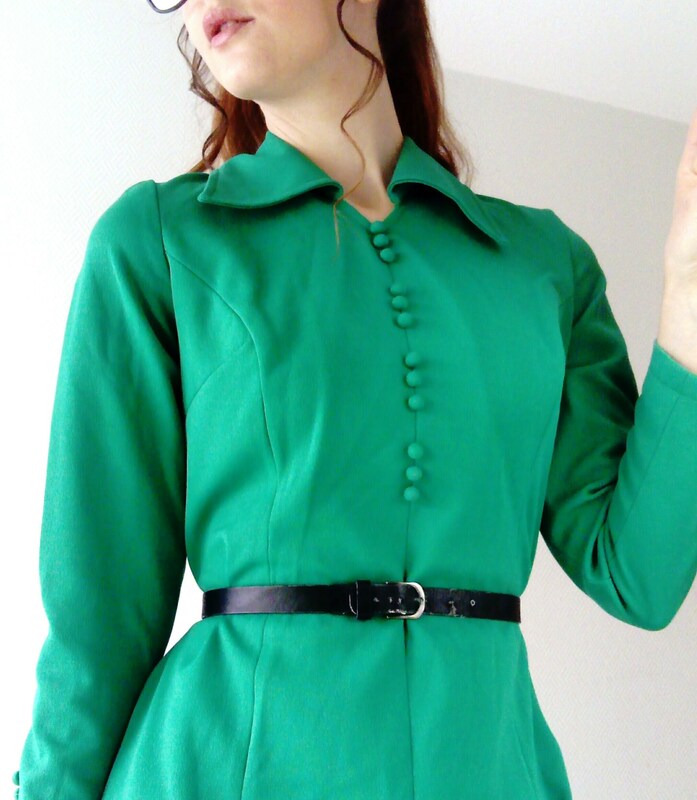 Stunning vintage green duck dress, made in early 60's / beginning 70's, lovely fabric buttons on chest and sleeves. 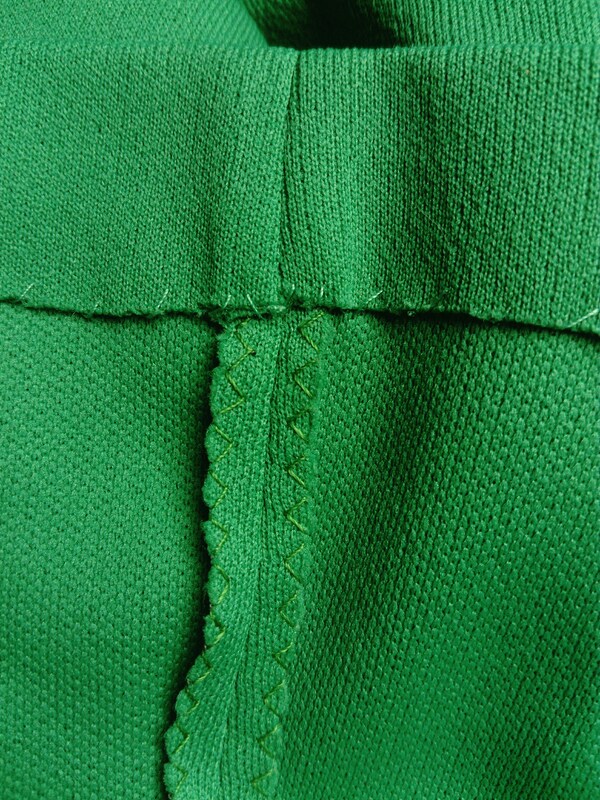 zipper on back, elastic fabric, no lining but the No. transparency, mint condition.